People called this dessert as one of the trendiest desserts of 2018 as it became viral through all social media in the Philippines. This dessert contains a lot of chocolate galoré layers- which contains 5 layers of chocolate flavors. It all started from one of the famous dessert shops who started selling this kind of cake- namely “Le Sucre Lab”. Actually, this is the first shop that I have first tried my chocolate dream cake because it was my birthday and one of my aunts gave me this kind of cake as my birthday cake. I have to say that it was a great taste of flavor. At first, I never thought that this cake was just merely a filling all over the place but I then realized that it has 5 layers of heavenly chocolate dessert. 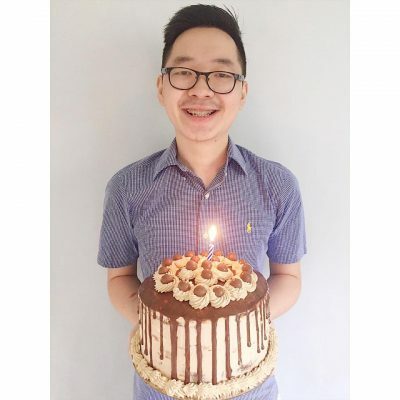 Through then, I started testing a lot of chocolate dream cakes in the Philippines- a total of 5 stops namely, Le Sucre Lab, Cakes by Alyannas, Sissy’s, Aperitif, and Oh My G Cakes. Among the five dreams cake stops I tried, The best one, in my opinion, was the Aperitif, because of the right amount of sweetness that the layers had as I took a bite through it. It also has a wonderful edible chocolate gold cup for the cake that the four dream cake stops doesn’t have- which made them unique. Although it was quite expensive, it was definitely a worth-to-try cake if you would want a not-to-sweet dream cake. This is the place that I would recommend for you. Based on my insight about the Le Sucre Lab’s Cake, It was one of the tastiest dream cake I ever tasted as it blends all the chocolate layers that were made as one. I also love how the chef started this kind of cake as it goes viral all over the media. Although, the secret was revealed and everyone who has learned his recipe replicated his dish and elevate it into something elegant just like his cake. If you want something cakey and fudgy dream cake, I would recommend you to go at Oh My G Cake. The layer of this dream cake dominantly was filled with a high layer of cake and the four layers at the top. This is great for a group of friends who tempts and loves to eat chocolate dream cakes. After tasting all these five dream cakes, I finally made my own! I researched all the things I need and came up to make my own twist to this cake. Feel free to check out my own recipe on how I make this awesome yet trendy flavorful chocolate dream cake. Enjoy! 1. Prepare a large square tray or 2 9′ round pan greased with oil and line with parchment paper below. Preheat the oven to 350°F. 2. In a large bowl, sift together the flour, sugar, cocoa powder, baking soda, and salt. Mix together until combined. 2. In a separate bowl, Mix together the eggs, oil vanilla extract, and white vinegar until well-incorporated. 3. In an alternative way, Mix together half of the dry ingredients into the wet ingredients, Mix until combine then add in half of the instant coffee mix with water mixture into the wet mixture until it thins out. Do it alternative until no dry and water mixture is left. 3. Place the right amount the second layer of filling (bittersweet chocolate filling). Make sure to move the filling around the cake to cover it up. 4. Place the next layer of filling (Chocolate Ganache) on to the top of the second layer. Make sure to move the filing around the cake to cover it up.